As many of you know, my family and our two dozen chickens and ducks moved to a farm in Maine in August of 2015. As native New Englanders, we were so excited to finally move back "home" after more than a decade in the South (Pensacola, Florida and Norfolk, Virginia) due to my husband's job with the Navy. 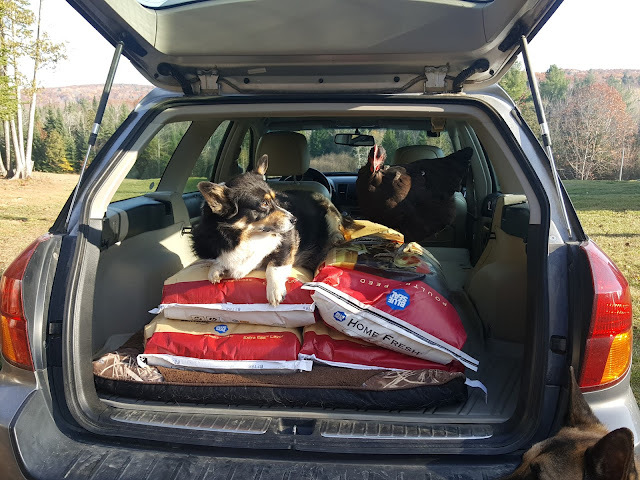 There are so many reasons to love living in Maine - the lobster, the fresh blueberries, the gorgeous scenery and cooler temperatures, not to mention all the snow - but one of the most exciting things for me was to finally be able to have a chance to try Blue Seal chicken feed! My friend Jen from 1840 Farm in New Hampshire has been telling me about Blue Seal feed for years. She feeds it to her own chickens and loves it. 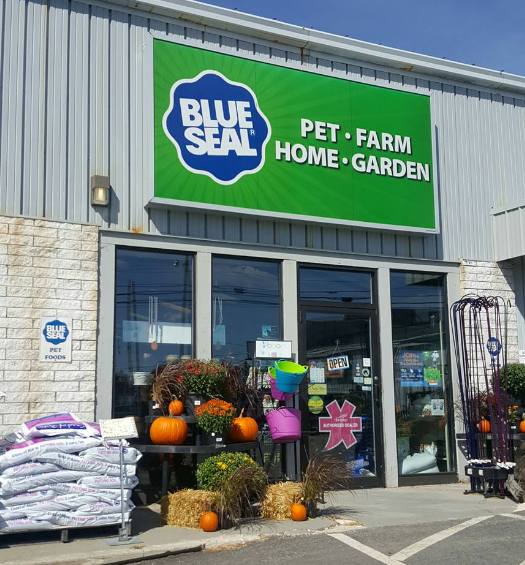 Living in Virginia, I couldn't find a local source, but was delighted to discover once we moved to Maine there's not only a drive-through Blue Seal store in downtown Bangor (about 30 minutes away), but also a local feed store not 10 minutes from our farm that sells the Blue Seal brand! My chickens have been eating Blue Seal's Home Fresh layer crumble exclusively since then. They love it - and they all look gorgeous, shiny and glossy with bright eyes and tons of energy - and even my four and five year old hens are laying almost daily. 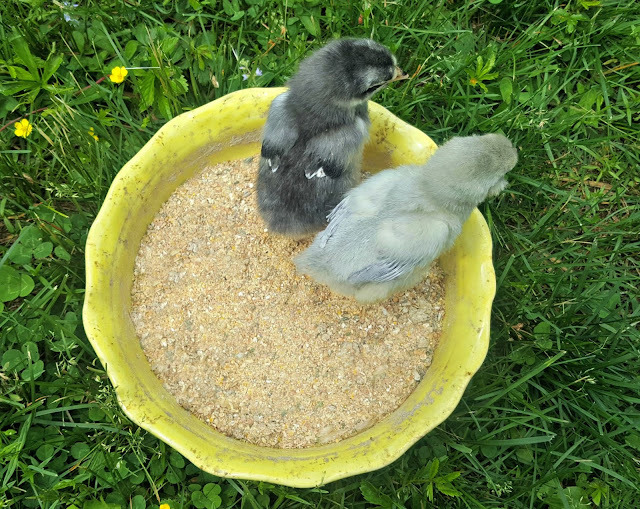 During hatching/baby chick season here on the farm, I have my Littles on the Blue Seal's Home Fresh chick starter crumble, and then they switch to Blue Seal's Home Fresh chick grower feed until they're ready for the layer feed around 18 weeks old. 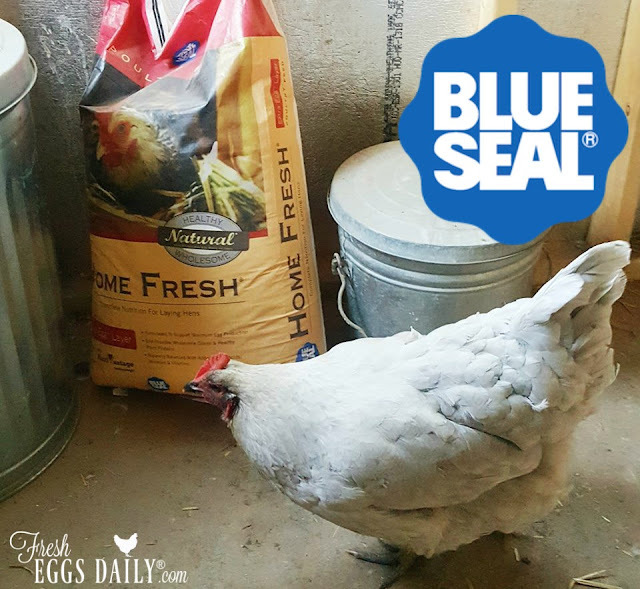 Blue Seal offers several choices for the backyard flock. I have tried both Home Fresh which is their premium feed line and OrganicLife which consists of all organic ingredients and our chickens and I love them both. 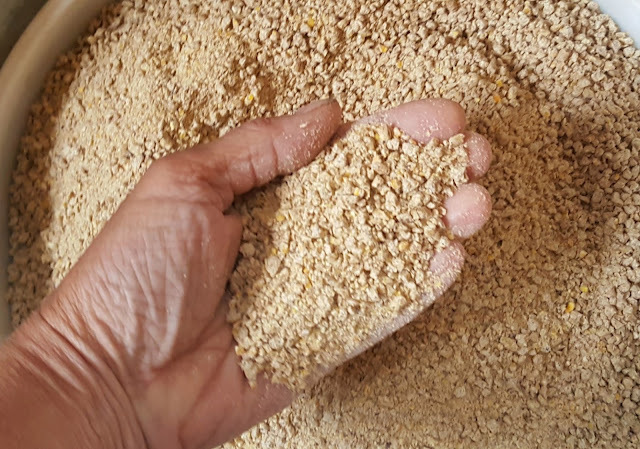 I am especially happy that I now have access to such a great quality, affordable organic feed. Unlike some brands of feed, Blue Seal is a "fixed formula" feed, meaning that the recipe is the same in every bag of the same stage feed, every time, and specifically formulated for that stage of life, unlike some feed companies that just buy whatever grains are cheapest on the commodity exchange when they're in the market, leaving lots of room for error. 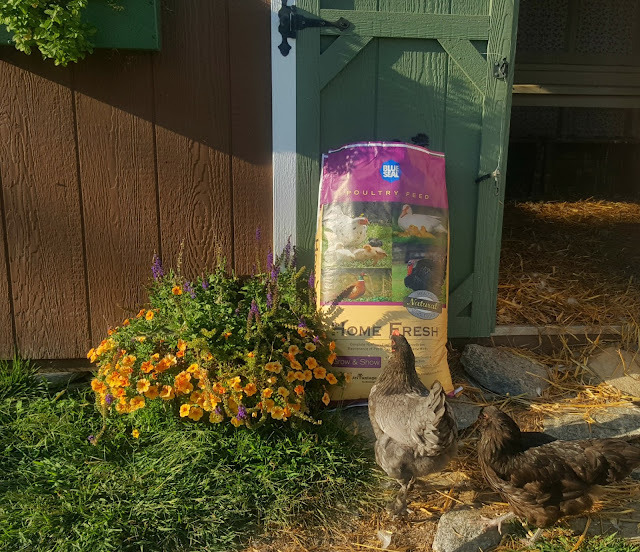 Because I was so impressed with Blue Seal feeds and how well my chickens (and ducks) seemed to like it and are clearly thriving on it, I contacted the company about working together several months after we moved to Maine. I was super excited to welcome Blue Seal Feeds as a sponsor. As always, I only work with top-quality companies whose products I not only personally use, but trust 100%. I am fortunate to be able to pick and choose which companies I work with, so you can feel confident that when I promote a product, it's because I have chosen to. If you have any questions about the Blue Seal or Kent brands, please visit their website or contact them directly at service@kentww.com or 1-866-647-1212. And be sure to find them on Facebook and Twitter!